The iMoov Teclado Bluetooth Keyboard is a perfect accessory to the Astuto. This ultra-slim (0.26") rechargeable keyboard can be paired with up to three devices, ideal for users who work with multiple devices. 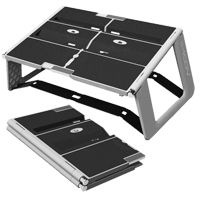 It magnetically locks into slots on the Astuto Stand for use with a tablet or phone or can just as easily be used on a desk surface when using the Astuto Stand to elevate the screen of a laptop or notebook. 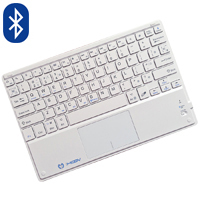 The Teclado keyboard also uses High Speed Wireless Bluetooth 3.0 technology, enabling the user to work with other devices up to 10 meters away (33 ft). It also contains a built-in touchpad with its own ON/OFF switch, making this keyboard an ultra-portable, all-in-one, power-saving input device.